A group of teens from Jerusalem and the West Bank--Muslim, Christian and Jewish--meet for the first time and offer their views on Middle East peace at a camp in upstate New York. 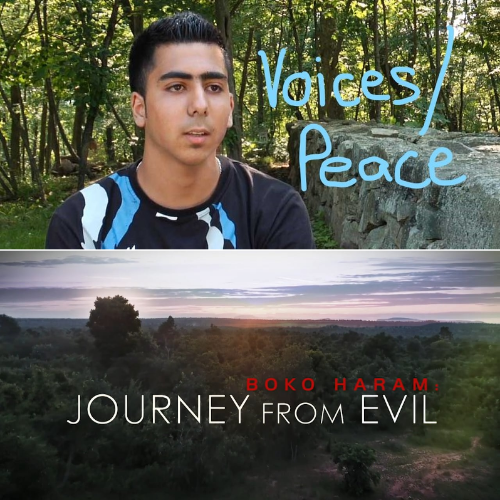 Their perspectives offer a glimpse of the conflict beyond traditional media accounts. Boko Haram: Journey from Evil shows not all is lost in Nigeria, despite the country being mired in conflict and nearly a decade of suffering. Indeed, the spirit and determination of ordinary Nigerians – committed to education, family, community and peace – remain very much alive.